Coming Attractions: Family Fun Time! 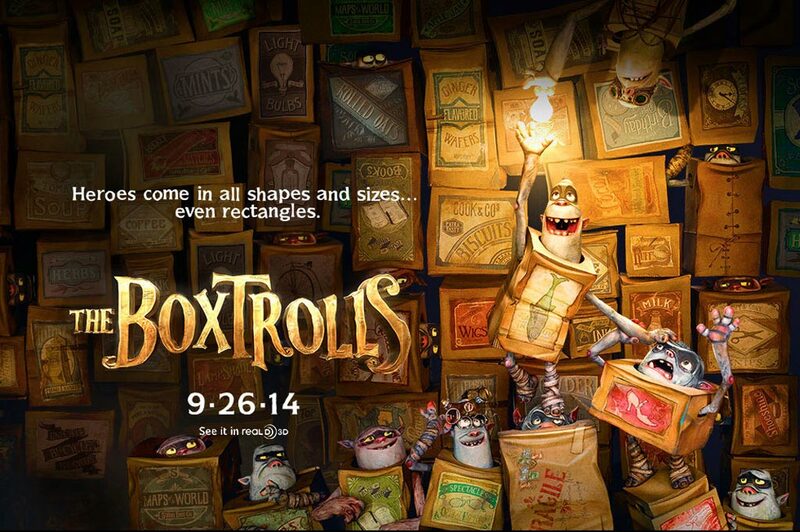 Eggs, a human boy, has been raised by the boxtrolls. The subterranian dwellers live in the sewers and only venture above ground at night. That’s when they forage for supplies. An exterminator is seeking to stop the nusience from bothering the residents of the town above. Eggs has to find a way to save his friends and learn what it means to be human in the process. The Boxtrolls looks enchanting. The directors have been in the animation departments for several beloved movies (Paranorman) and in the visual effects department (Hook) as well. One of the writters I adore, Adam Pava. He worked on the glorious Fosters Home for Imaginary Friends. The voice actors are very notable including Ben Kingsley, Nick Frost and Tracy Morgan. The animation studio worked on both Paranorman and Coraline. The clay animation is very inspired by Tim Burton. The artistic design is dark, yet colorful. I can’t wait to watch Eggs dance his way into our hearts and minds. Manolo has been the victim of the bet between two otherworldly beings. Finding himself in the land of the dead he travels through three worlds to figure out his path and which world he truely belongs. Produced by Guillermo del Toro and directed by Jorge Gutierre, they bring to the screen a story with roots in Latin American stories. 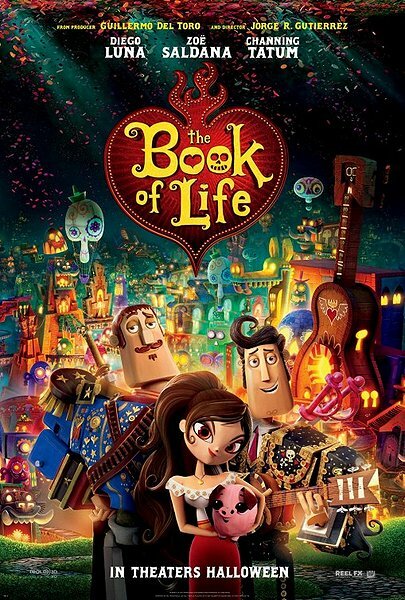 They worked together to bring a story to life that contains the mythology of the South America, in a Corpse Bride style movie. The main story line is a romance, Manolo is trying to get back to Maria, who he loves. Even death can’t stop him from trying to get back to the land of the living. Everything I’ve seen of the movie so far makes me excited. The Corpse Bride was good but was missing something. I really feel that the missing element has been finally found. 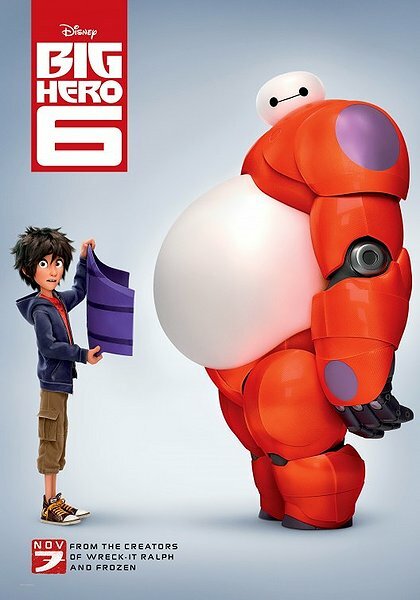 Hiro Hamada is a genius when it comes to robots. When a Kabuki masked villian appears, he teams up with a robot and some friends to defeat his army of nano bots. Disney… sometimes you make the best films. We saw the trailer for this when we went to see Gaurdians of the Galaxy. It stuck with me so long, I can’t wait for it to come out. I hope it’s as good as the trailers make it seem. The two directors are responsible for some really fantastic movies. Don Hall worked on the Frog Princess and The Emperor’s New Groove. Chris Williams worked on The Emperor’s New Grove as well and Mulan. You can see the influence on the movie once you know what they’ve worked on in the past. There is a great story line supported with a humorous supporting cast. Tense situations are broken up by comedic action packed sequences. If you don’t see any other cartoon in the theater this year, please see this one.